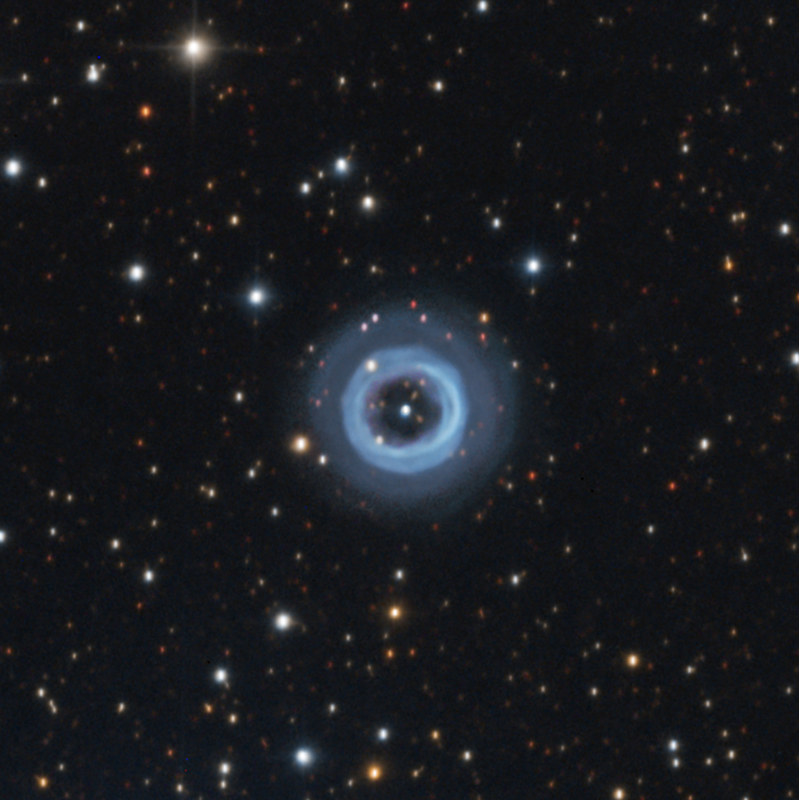 Shapley 1 (PLN 329+2.1) is a ring-type planetary nebula in the southern constellation of Norma approximately 4,900 light years distant and 8,700 years old. It was discovered by Howard Shapley in 1936. There are many images of the bright toroidal core that is about 1.1′ in diameter, which makes it about 1/3 light years across. It is bright at magnitude 12.6. The central star is a white dwarf with a magnitude of 14. It appears to be a true torus that we are looking through one end. 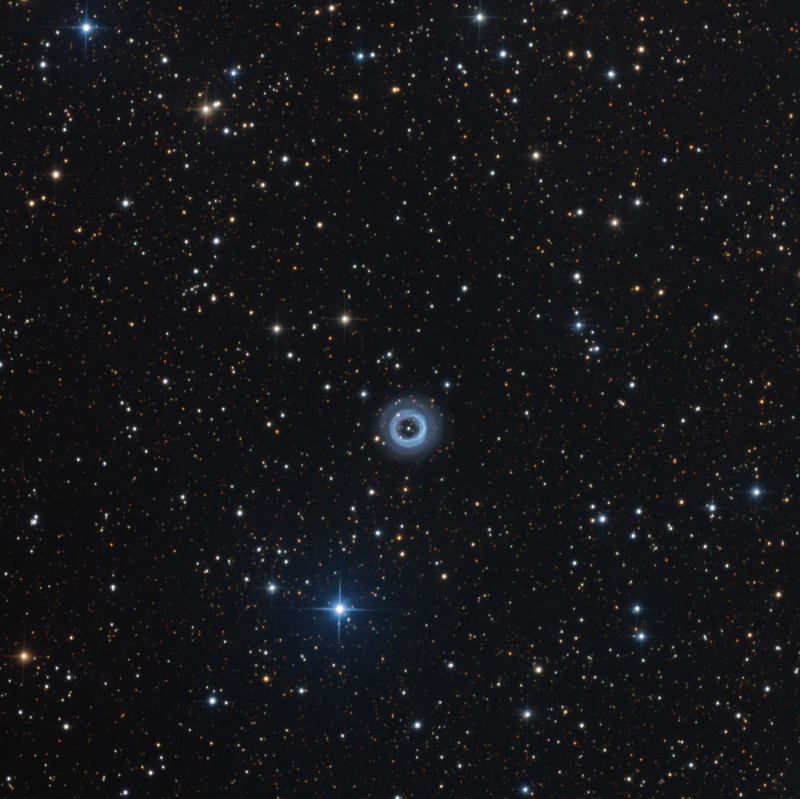 The focus of my image is to show the extent and some detail of the OIII-enriched outer halo that increases the size on the nebula to about 2′; nearly double that of the core. The above image is cropped to show detail in this small object. The image below is the original image. In both cases, North is up and East is to the left.